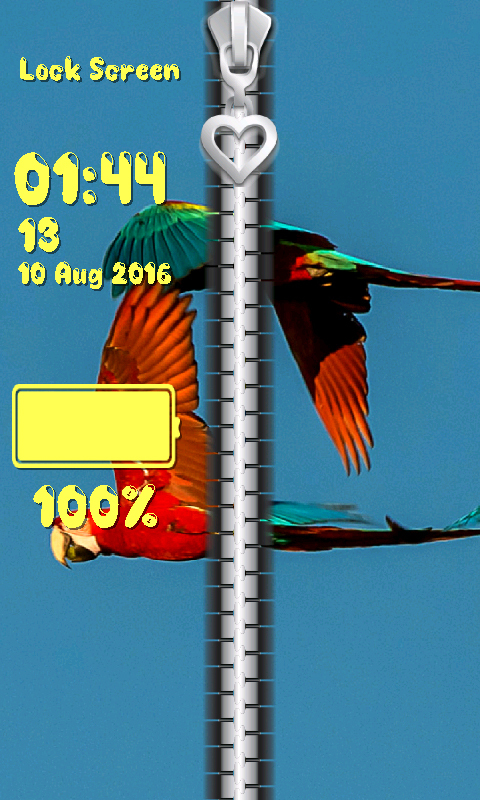 Visit these lovely multicolored birds in their natural habitat and talk with them. 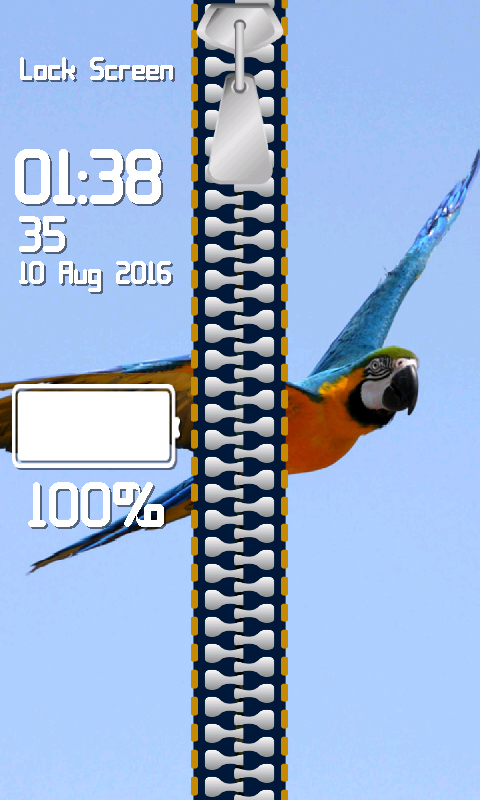 The popular Zipper Lock Screen Parrot will take you to the wilderness where you will meet so many adorable specimens of this specie. Admire the stunning look of two parakeets standing on a branch and having fun. Their long wings are about to be spread, and within just a few minutes they can be high up in the sky. 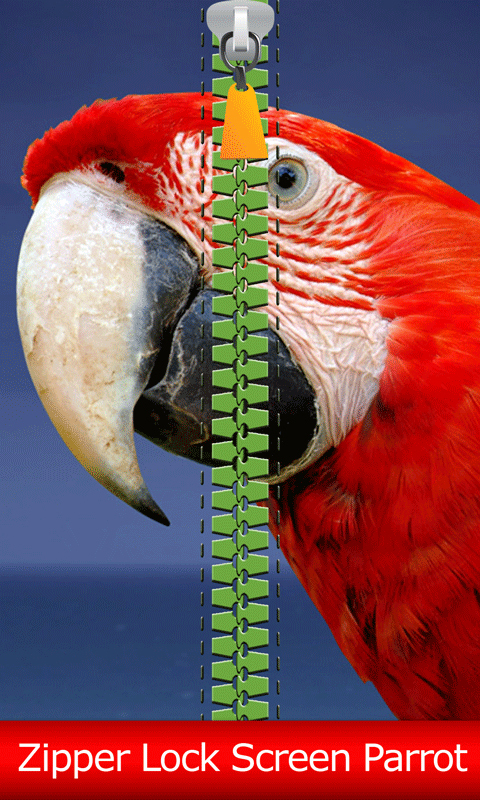 Go down to the rainforest just by tapping your zipper screen lock, and enjoy by the river with your new best friends. 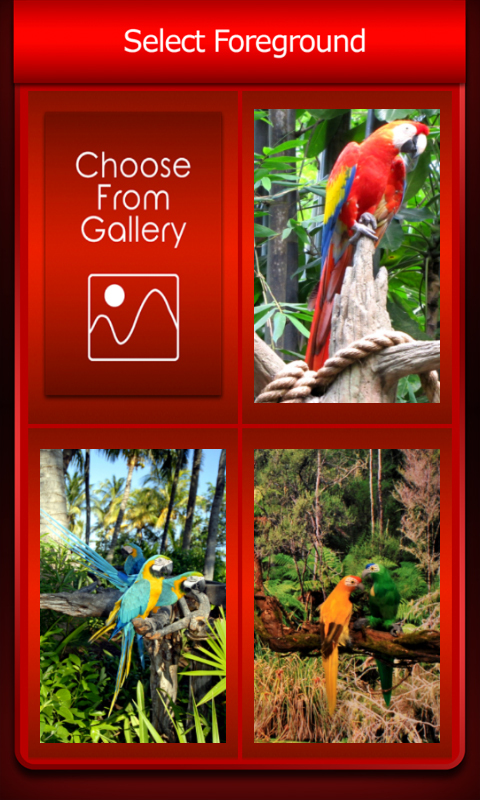 If you prefer, you can find the photos you like for your foreground and background in your own gallery. 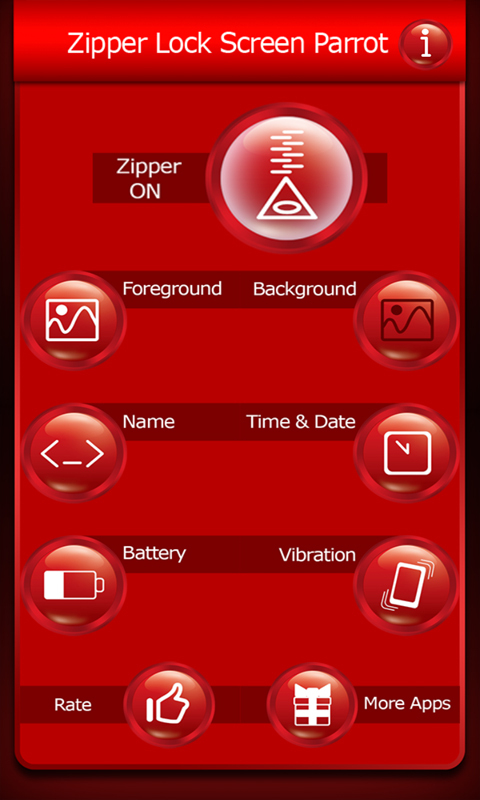 Find the ones you would like to see most often and personalize your smartphone or tablet. 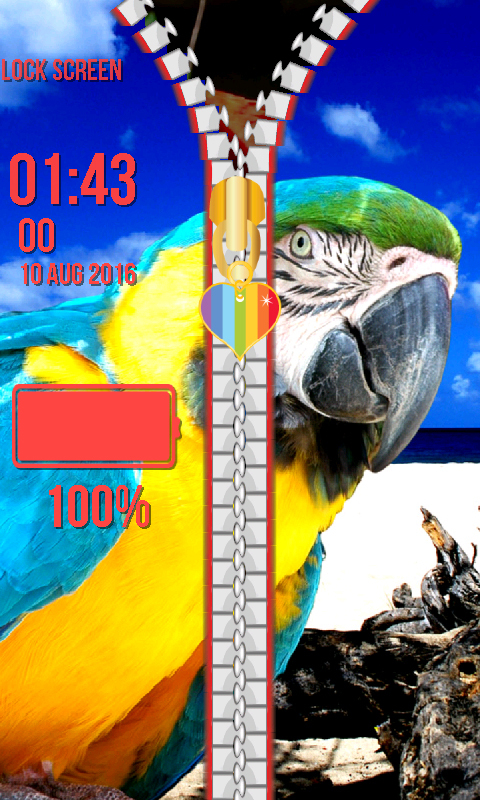 Visit the most extraordinary places by downloading the coolest Zipper Lock Screen Parrot app free of charge.